Resurgence: Part 2 has arrived! We’ve added twenty new cards as well as a few extra additions. Read on for more! Twenty more cards release today as the final part of the Resurgence expansion, available now on Steam. Along with the completion of Resurgence today, we are also releasing our first ever puzzle pack: Elements. 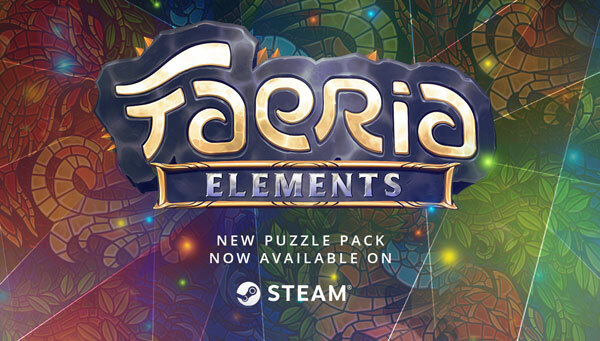 Elements adds 10 new puzzles to the base game of Faeria, and provides 40 additional puzzles to those who purchase the Elements DLC. Warning: Some of these puzzles are extremely difficult. 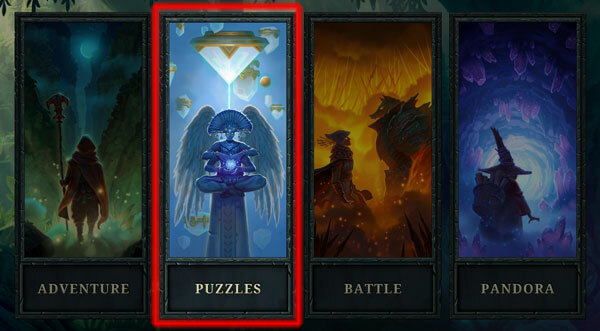 How do I access the new puzzles? We’ve completely revamped the way you access puzzles in-game. After you click the “Play” button on the main menu, you’ll now see a new “Puzzles” category you can select. Upon selection, you’ll be presented with the choice to access the “Core” puzzles in the base game of Faeria, or the new “Elements” category. The Core Puzzles section contains all puzzles available in the base game, should you have unlocked them. Yes, this means you can once again replay puzzles after completing them! You will, however, receive no additional rewards. 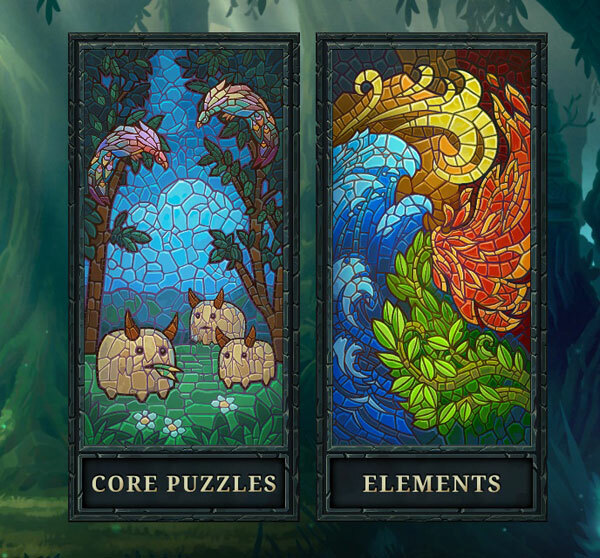 There are five total pages of Elements puzzles. The first page is completely free and included with the base game. 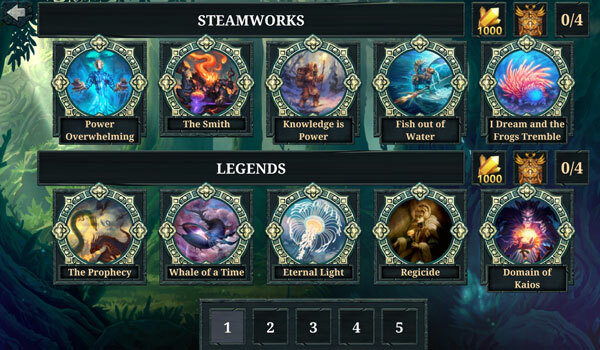 To access the remaining four, you’ll need to grab the Elements DLC from Steam. Rewards for each set of puzzles are listed at the top of the category. 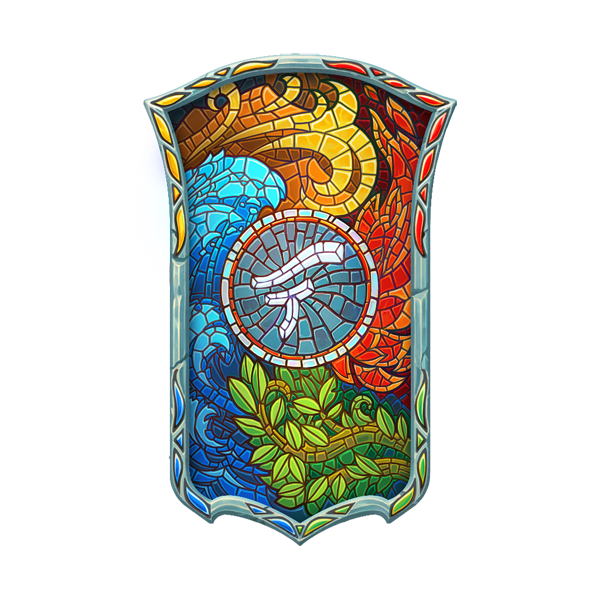 If you’re able to complete the first set on page five, you’ll earn the exclusive Elements cardback! Due to popular demand, we have now added official Steam achievements to Faeria! Many of these achievements will be retroactively applied to existing accounts, but some you may need to hunt down. Mostly, you should accumulate these through normal play. You will see a link in the top right to “View Stats.” Clicking that will lead you to the available list, like other Steam games. Will you be the first to earn them all? Save 33% on Faeria on Steam! 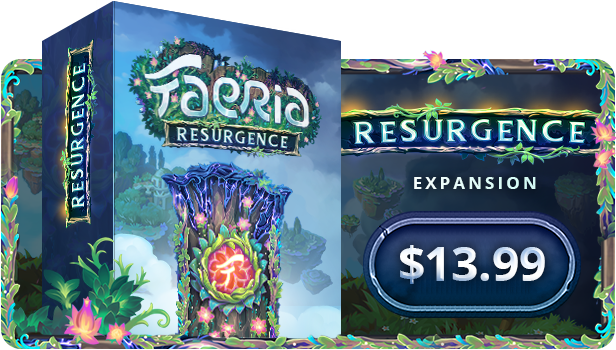 If you haven’t already noticed, the base game of Faeria is currently discounted by 33%! This discount will last until October 26th. 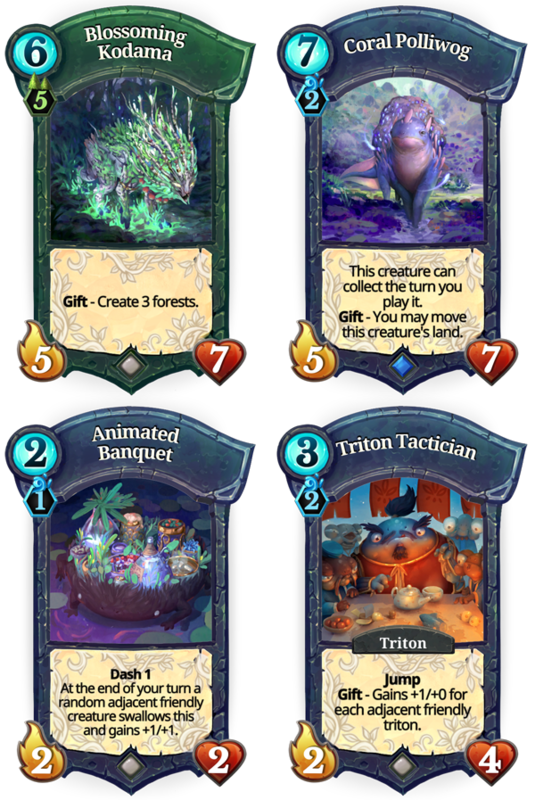 If you don’t already have Faeria, it’s the perfect time to pick it up. Don’t forget, our $2500 Seasonal Cup takes place THIS Saturday, at 16:00 CEST! Watch 32 of the best players in Faeria compete for the grand prize in Crucible format. Earn Eggs while watching, and have them hatch during the weekend! In addition to some other bug fixes, we’ve added a “Clear cache” button in the settings menu. If you’re experiencing strange crashes in Faeria, this button should allow you to fix the majority of these issues. After clicking it, you need only to restart Faeria and see that your problem is resolved. If this still doesn’t resolve your problem, make sure to email support@abrakam.com or contact us in our official Discord. General performance & loading times have been improved (mostly noticeable on low-end machines). After finishing a PVP game, if you hit back you will now be properly redirected to the Play menu instead of the home screen. If you own all possible loot that could pop out from a mythic chest when opening one, the chest won’t be consumed anymore. Fixed a visual issue when cards with terminable effects would be put in a zone where they are not visible to a human player anymore, then the terminable would terminate, and when the card is visible again later the terminable effect is still visually there. Visual bugs induced by Dream Keeper are included in this category. Fixed AI that was evaluating the utility of damaging enemies without killing them a bit too high. It was sometimes playing Firestorm to only damage 2 creatures for example. A bunch of new collectable lore pages have been added! Oversky cards are now craftable! Mythic versions of Oversky cards can now be unlocked by completing Oversky missions! If you have already completed them, they will be already waiting for you in your collection after the update. Loyalty patch puzzles are still accessible from under “CORE”, in the new Puzzle section.